Representatives from the Greater Chattanooga Association of Realtors (GCAR) gathered with Realtors from across the U.S. last week to attend the National Association of Realtors Legislative Meeting held annually in Washington, D.C. Their goal: to show legislators and policymakers that the Realtor Party is a force to be reckoned with. Foremost on the minds of Realtors was ensuring that sustainable homeownership is protected and strengthened. While there were dozens of issues to be addressed, there were thousands of Realtors ready to do their part. With over 1.2 million members, NAR is the largest professional association in the land. Not surprisingly, the Realtor Political Action Committee is the largest of its kind. From sea to shining sea, Realtors are involved in politics and policy-making. Most consumers have no idea about the amount of legislation proposed at all levels of government – local, state and federal – that can greatly impact their bank accounts and their rights concerning real estate. Homeownership, for example, is the cornerstone of our nation and what most Americans deem as a critical aspect of the American dream. Studies prove that owning a home increases wealth but also provides stability to individuals and families, thereby creating stronger communities. It’s no secret that governments struggle to balance budgets and are always looking for ways to increase revenue. Increasing revenue is a necessity, but Realtors are standing firm that tax reform cannot and should not be unfairly shouldered by homeowners who rely upon important tax deductions to make their budgets balance. When you begin to dismantle incentives and benefits for homeowners, you fracture the foundation of our economy. Armed with numerous issues on their minds, 10,000 Realtors descended upon Washington, D.C. on Monday, May 15 to share their thoughts and concerns with legislators and to hear from notable speakers and economists about the state of real estate. Monday was a light schedule and provided time for enjoying all that our nation’s capital has to offer. One unexpected treat involved the White House turning blue – literally. In a proclamation he signed in the Oval Office, Pres. Trump announced the White House would be lit up in blue lights Monday evening to honor the 394 officers who were killed in action last year. It was moving to be there in person and to observe a crowd of supporters, including many uniformed police officers, hugging and shaking hands with fellow officers from across the country. It was evident by the reverent mood that many were moved by the proclamation and symbolic gesture of support for police officers, who daily put their lives on the line for strangers. On Tuesday morning, Realtors got down to business with numerous meetings including a large forum on regulatory concerns under the new administration. Attendees heard directly from Secretary of the US Department of Housing and Urban Development Ben Carson on the need for regulatory reform and how government regulations impact the housing market, consumers and homeowners. Roy E. Wright, deputy associate administrator for insurance and mitigation for FEMA spoke about issues facing at-risk homeowners and the proactive measures needed to ensure that a flood doesn’t result in catastrophic financial losses. Hurricanes Katrina, Sandy and last year’s floods in Baton Rouge have crippled the program and reform is overdue. Also on Tuesday, Realtors packed into the ballrooms of the Omni Shoreham for NAR 360. At this gathering, important updates were shared along with recognition of NAR’s achievements across all 50 states. One notable topic: First-time Homebuyer Savings Accounts. FHSAs are gaining popularity in many states, providing a path for first-time homebuyers to set aside money to later be used to purchase a home. The earnings on those funds – interest and capital gains – are free from state taxes forever. 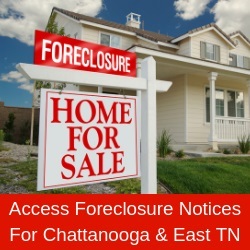 Tennessee Realtors have taken note of this and will be following up on a similar program for Tennesseans with lawmakers soon. All work and no play is uncommon among Realtors, and in D.C., as there are too many great places to visit and superb dining options are limitless. After a wonderful meal at Petit Plat, many Realtors boarded a bus and headed out for a Monuments by Moonlight tour. As the bus made its way through the city, stopping only once for a motorcade to pass, Realtors enjoyed an insightful tour of the capital’s most famous monuments and memorials. A few of the more colorful stops included the Watergate Complex, Mayflower Hotel and the Washington Hilton, where the assassination attempt on Pres. Reagan occurred. On Thursday, Tennessee Realtors visited with Congressman Chuck Fleischmann in his new office about regional topics, including last year’s opening of the Oak Ridge National Lab at EPB headquarters in Chattanooga’s Innovation District. Fleischmann said access to problem-solving on such a high level will not only bolster existing businesses but also attract new ones to Scenic City. As the buzzer rang for the Congressman to make his way to a vote, he posed for a quick photo with Tennessee Realtors and his Realtor political coordinator and long-time friend, Lois Killebrew of Mountain City Realtors on Signal Mountain. After a short commute, Tennessee Realtors filed into the Dirksen Senate Building, where Senators Bob Corker and Lamar Alexander spoke to a packed room about many real estate industry issues, including mortgage tax deductions. Sen. Corker spoke about GSE reform and assured attendees that he understands the issues on our minds and their relevance to our economy. He discussed the importance of access to affordable mortgages and homes as hitting close to home, citing that his mother was a Realtor and he he was a builder for many years. Sen. Alexander then spoke to the Realtors’ concerns over the upcoming expiration of the National Flood Insurance Program. Realtors stressed the need to prevent a lapse that would cost an estimated 40,000 home sales per month. In addition, mapping is antiquated and inefficient, resulting in mistakes and expenses that could be avoided if an investment in technology was made. Alexander promised a lapse would not occur and he would further investigate the updating that would increase efficiency and accuracy. The week on the hill was deemed a success as Realtors engaged in conversation, discussion and debate with lawmakers amid countless opportunities to network and sharpen their skills. Roundtable meetings and forums provided opportunities for Realtors to share ideas and learn about valuable tools and technology. The vast majority of people don’t know how engaged Realtors are legislatively. Here at home, Realtors have engaged with our elected officials on topics that affect private property owner rights, including Form-Based Code, stormwater regulations and short-term vacation rentals. At the state level, we engage our representatives when legislation is presented that threatens homeownership and private property owner rights or, conversely, Realtors assist legislators to enact much-needed legislation. Just last year, the topic of homeowner associations brought about conversations between several real estate-related professions. Most consumers would be surprised at the amount of time the Realtor Party devotes to keeping a close eye on issues that, if left unchecked, could threaten access to and affordability of homeownership. Now, more than ever, it is critical for Realtors to come together, actively engage and speak with one voice about the stability that a sound and dynamic real estate market brings to our communities. That voice is the Realtor Party, and we stand alert and ready to act in defense of property owner rights. Becky Cope English is a Chattanooga-based Realtor with Crye-Leike, Realtors. She is a member of the Greater Chattanooga Association of Realtors, where she serves as RPAC Chairperson and as a Director. Becky has earned the GRI, CSP and e-PRO designations and is a licensed broker.